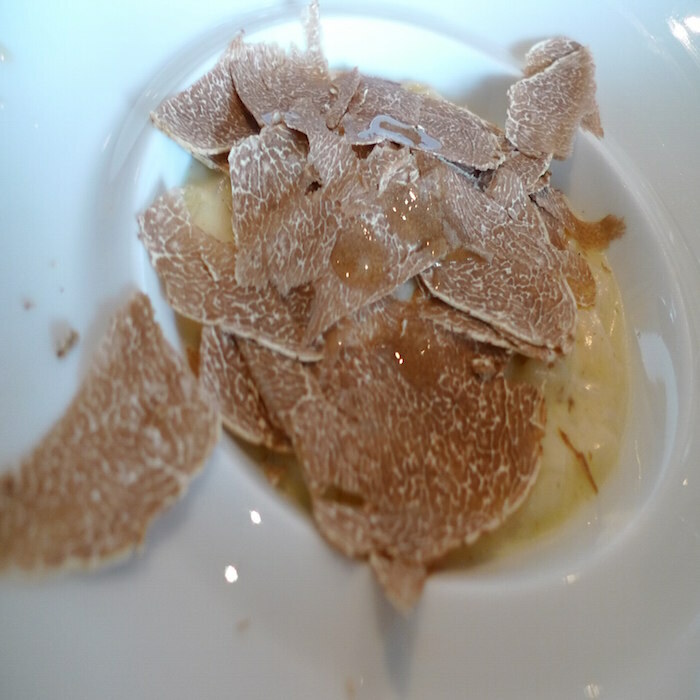 Among truffles the White Truffle is considered the most precious and exquisite! Because of its value, both economical and gastronomical, it is often compared to diamonds! It’s possible to find the White Truffle in several areas around Italy, France and on the Istrian Peninsula; however it is found mostly in the Langhe and Montferrat regions especially around the city of Alba and Asti. The truffles discovered in this area are the most precious ones on the market. A good size white truffle can weight around 500 grams, even though usually they are smaller. The flesh is either pale cream or light brown. The white truffle market in Alba is the most important one in the world. Every year truffle lovers come to visit the town to enjoy tastings and events related to this precious truffle. The busiest period is between October and mid-November when the White Truffle Fair takes place. 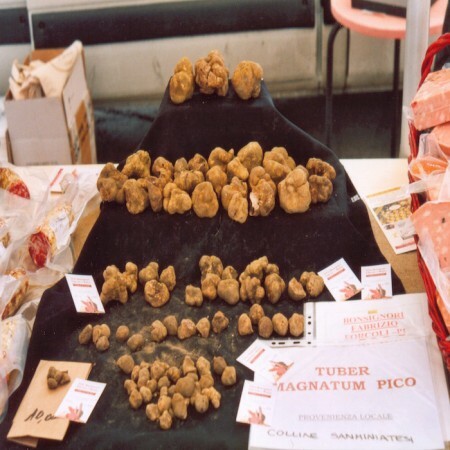 This is the oldest white truffle fair in the world and it offers a wide range of entertainment to its visitors like concerts, tastings and also a white truffle walk. The main event of the fair is the Worldwide Auction Sale of the White Truffles of Alba hosted every year in the Castle of Grinzane. Because of the popularity of the fair the auction is connected via satellite to other cities around the world! 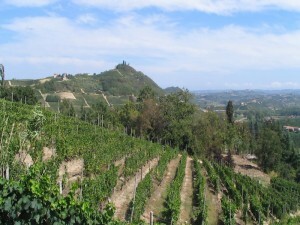 Category: Sightseeing Tours of Turin Alba Langhe. Tags: Alba, Castello Grinzane, Food & Wine Exhibition - Alba Qualita', Langhe, Montferrat, White Truffle, White Truffle Fair, White Truffle Market, World Auction Sale of the White Truffle of Alba. 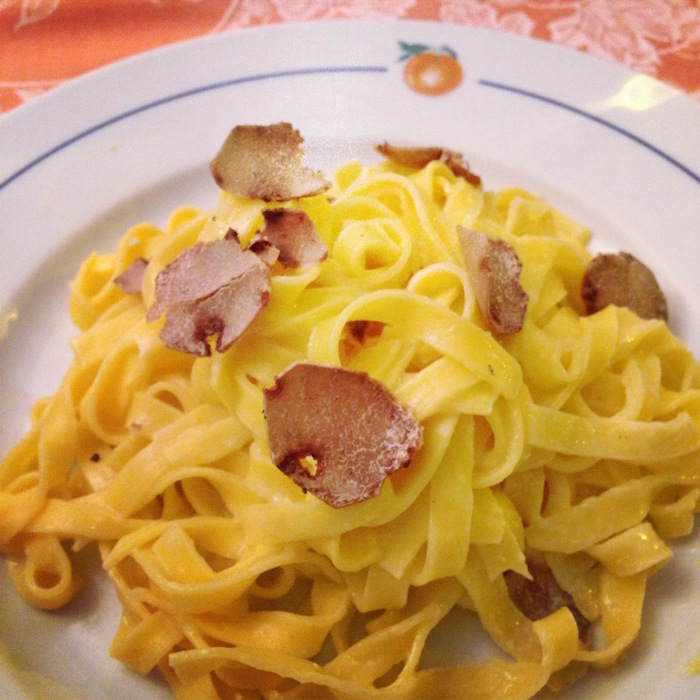 Alba’s white truffle is becoming a status symbol and its value is growing very quickly. In 2001 it was sold for $2000–$4500 per kilogram; only few years later in 2009 it was sold for $14,203.50 per kilogram! However the team that organizes the Alba fair refuse to let it become an elite event so they decided to donate a big part of the earnings from the auctions to charity. Visiting Alba during the fair period visitors will enjoy the Food and Wine Exhibition, Alba Qualità; here it is possible to taste the typical and mouth-watering products and dishes of the region as well as its famous and precious wines!